Kastoria is a city in northern Greece in the region of Western Macedonia. 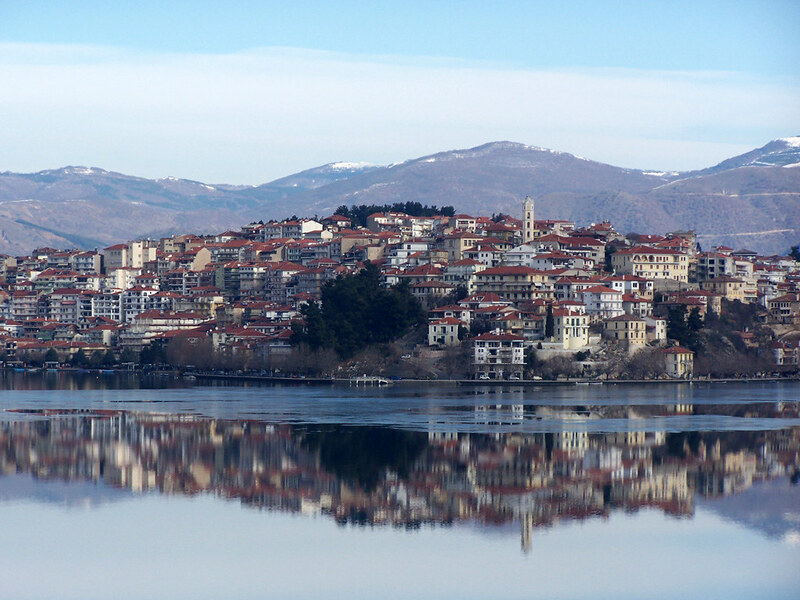 It is the capital of Kastoria regional unit. It is situated on a promontory on the western shore of Lake Orestiada, in a valley surrounded by limestone mountains. The town is known for its many Byzantine churches, Byzantine and Ottoman-era domestic architecture, fur clothing industry, and trout. The blue markers shows the location of various accommodations in Kastoria. The letter in the marker describes the accommodation types: H for Hotel, A for Apartment, R for Resort, B for Bed & Breakfast and O for Other (e.g. pension, villa). Click on the blue marker for more information on the accommodation.